A dog bite can easily be prevented if you are aware of the situation with an unknown dog. Dog’s as lovable and cuddly as they may be all have an instinctual voice inside to protect themselves. What you do and how you act around a dog may be viewed as threatening and in that case you could be bitten. Please take a moment and read through this info-graphic on national dog bite statistics. And see how you can prevent a dog bite from happening. If you have an aggressive dog, please contact us for dog training. We can help reduce the risks and chances of a bite. 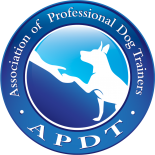 Through proper guidance and training you will be more confident when taking your dog out to new places and when meeting new people.